The Students’ Union bar sometimes proves a more attractive option than completing that tricky course work and I have often wondered if extra-curricular high jinks might be the reason behind some of the dazed expressions that greeted me during the dreaded 9 o’clock Monday morning lecture. But given that brewing is one of the earliest examples of chemical process engineering, maybe we shouldn’t be too hard on those who enjoy the end product. Nonetheless, beer like many other chemically engineered products is best enjoyed in moderation! Chemical engineers are still working to improve the brewing process and today I am highlighting the work of students from Newcastle University, UK and the University of Sheffield, UK, who have shown great entrepreneurial spirit and brewed their own beer. Stu Brew, is a sustainable microbrewery managed by students for students. It was set up in partnership with the School of Chemical Engineering and Advanced Materials at Newcastle University. 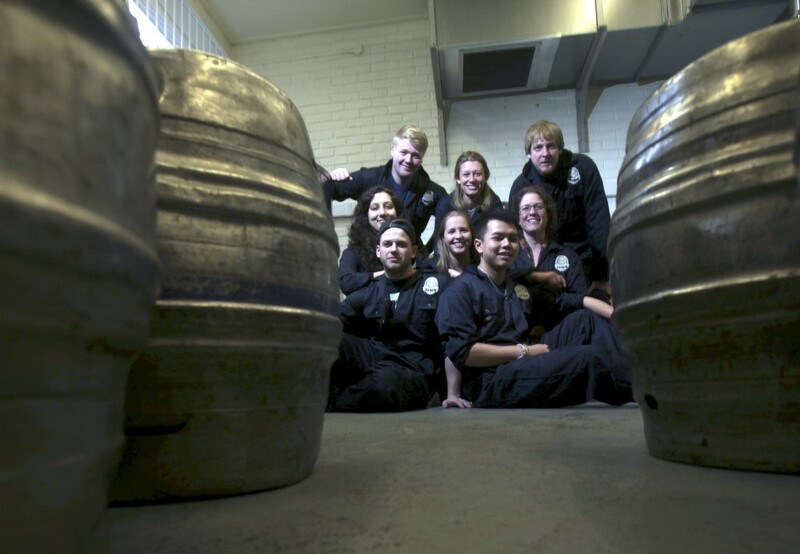 The microbrewery acts as a research unit for sustainable brewery design, with some students involved as part of their academic studies. The operation comprises a 2.5 barrel facility and 20 L experimental kit for recipe design. The team are working to optimise the process and demonstrate good environmental practice within the brewery industry. The students from Stu Brew have developed and brewed over 800 pints of OverDraught, a hoppy Indian Pale ale, which is available in local pubs and venues across the university campus. Stu Brew are working to ensure that their business venture is sustainable. The hops are grown on local allotments and spent malt is used as pig-feed at one of the university’s farms. Anawatt Tarr, co-president of Stu Brew, said: “It’s been a long and challenging journey to set up the brewery, obtain the licencing and gear up for production. But seeing the tangible results from the efforts of so many people is very gratifying. “We are very thankful to everyone who helped us along the way: from experts in chemical engineering, including Dr Chris O’Malley, who supervised and guided us in the process and the Rise Up team at Careers Service who supported us through branding sessions and marketing advice. Another entrepreneur who has entered the brewing business is biological and bioprocessing engineering graduate, Damini Mahajan. 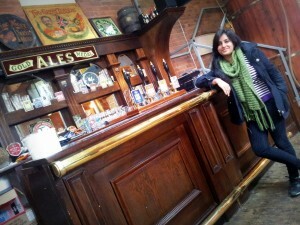 Damini founded Naturlich Global Beverages Ltd. after participating in a ‘ABinBev Best Beer’ competition whilst studying at the University of Sheffield. Damini worked with fellow students and university staff to brew and market ‘114 Sheffield Student’s Beer’ for the competition. The team won the UK title and achieved European runners-up status with their beer. This experience inspired Damini, and her team mate Arjun, to create a non-alcoholic honey beer for the Indian beverage market. They have now secured funding for their microbial-fermentation process, which has allowed them to work on product development and scale-up. It’s admirable to see such entrepreneurial spirit in young chemical engineers. 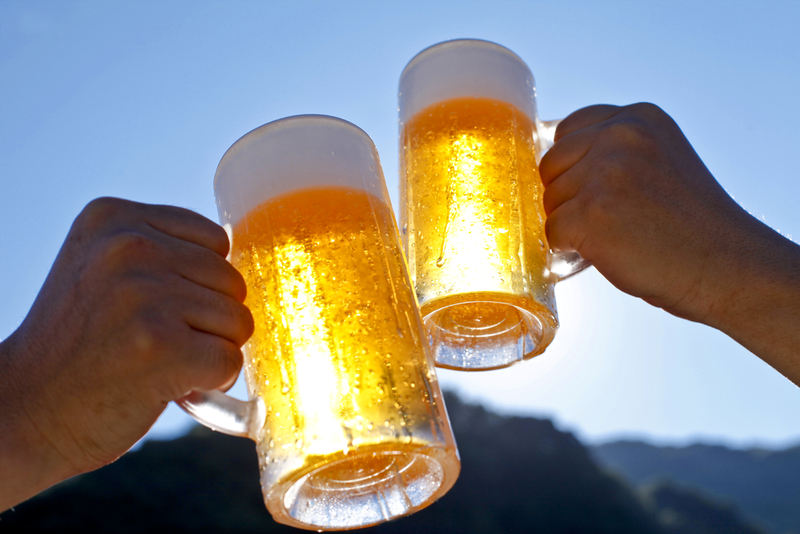 I raise a glass (of beer) to their brewing achievements. And remember, please drink responsibly. If you are working in the brewing industry and making processes more efficient and sustainable, why not get in touch and share your story. It good to see students doing something practical and producing a saleable product, better than working in McDonalds. In the past chemical engineers may have improved the economics of brewing but have not done a lot for the taste. Hopefully this enterprise will have included this important aspect of this particular market.